The government is primed to introduce a £75,000 cap on the cost of social care which will be funded by freezing inheritance tax. Determined to avoid the spectre of the elderly selling off their homes in order to pay for their care as they grow increasingly frail, ministers are looking for a solution and seem to finally be settling on a policy. 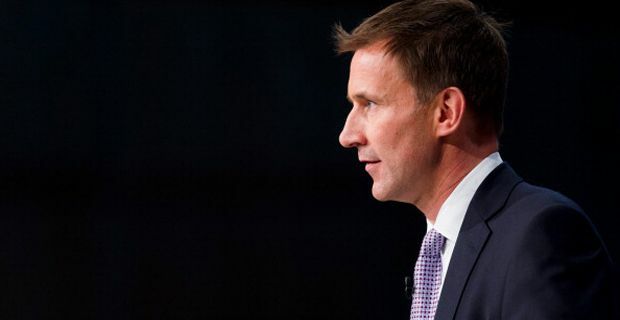 The health secretary Jeremy Hunt told the Andrew Marr show on BBC1 that he had taken a long hard look at the problem and was looking at the freeze in inheritance tax as the best way forward. He was keen to reject suggestions that the Tories were abandoning George Osborne's pre-election pledge to raise the inheritance tax threshold to £1m. He recommended a cap on the amount individuals are expected to pay for care when they become elderly and infirm before the state takes over – and that cap is looking like it will be £75,000. And keeping the inheritance tax threshold low enough to include a vast swath of middle England at £325,000 will help fund it. Hunt said: "We have a scandal at the moment that every year 30,000 to 40,000 people are having to sell their houses to pay for their care costs. Around 10% of us end up paying more than £100,000 in care costs. "If you've got dementia, which is going to affect a million people in the next few years, you have this double whammy. You are trying to cope with this incredibly difficult condition, the loss of your memory, the impact on your relationships with your family. And then you have the double whammy of having to sell your home. That is what we want to sort out." "Actually we don't want anyone to pay anything at all. By setting an upper limit to how much people have to pay, then it makes it possible for insurance companies to offer policies for people to have options on their pensions so that anything you pay under the cap is covered."